Lowe, 2018 (new genus distributed in Oman, Saudi Arabia and Yemen). Lowe, 2018 (new species from Oman). described. 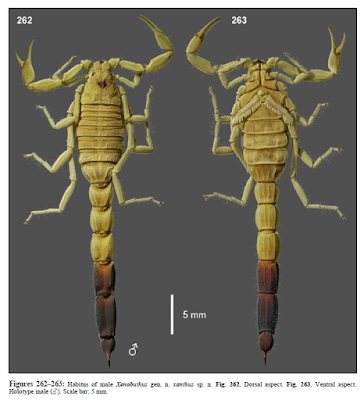 Revised diagnoses are provided for the genus Butheolus, and for the species B. thalassinus Simon, 1882, and B.
gen. nov. (Scorpiones: Buthidae) in Oman.